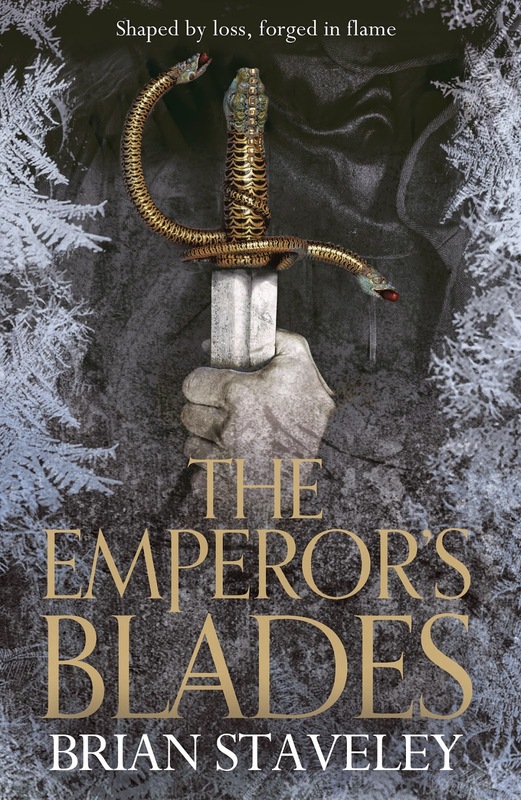 Staveley has produced a highly competent debut here, which hits a lot of good notes as part of the “gritty fantasy” sub-genre. The world, broadly speaking, is quite well realised. The geography of the areas that the protagonists inhabit is well described, and well defined. There’s a nice mix of icy crags, urban sprawl and tropical islands, and the author manages to evoke each reasonably well – though the city setting doesn’t get as much time as the other two, which is a shame, as it would have helped to bring some of the action within that environment more fully to life. The social terrain is a little fuzzier, but the author has clearly put in a degree of effort here. Each of the protagonists is in a different part of the world (as above), and we’re given three different micro-societies as a result. There are the monks seeking to empty themselves of self, in the aforementioned mountains. The tropical island is populated by the equivalent of a special forces training camp. And the city segments open up the world of palace intrigue. As with the geography, the city sections suffer in comparison to the other two. The alpine monks have a well realised set of goals and social mores (some of which are rather surprising). The military teams are driven by camaraderie and competition, and the delineation of relationships around a team dynamic is well done. The city piece, which had the potential to be the most complex, dealing with the intrigue and plotting after an Imperial demise, pushes out a functional society, which looks interesting, but really doesn’t get enough time on the page. The characters themselves have similar issues. Following the death of an Emperor, the reader is provided with his three teen-age-ish children, two brothers and a sister, as protagonists. One brother is on retreat with the aforementioned monks in their alpine retreat. One brother is training to be part of the equivalent of the SAS. And the sister is in the city. The two male protagonists get a lot of time on the page, and are quite readable. There’s some character growth over the course of the page, but really the majority of the work is defining their characters, and showing their responses to events around them. The female lead, however, whilst interesting, is criminally underrepresented, and clearly needs more ‘screen time’ to be interesting That said, all three are believable as characters, it’s just a shame more room wasn’t available to explore them. The plot on each front is competently executed. There’s some nice mystery on each front, and the result of at least one of those was rather surprising (to me, anyway!). It takes a while for the plot strands to really get going, but somewhere around the first third of the book, it really starts to rattle along, and becomes very hard to put down. Overall, this was a very good read, and I’m looking forward to the sequel; it’s well written, the characters are three-dimensional, if not as fully explored as I’d like, and the world they live in is interesting and well realised. Well worth a look.